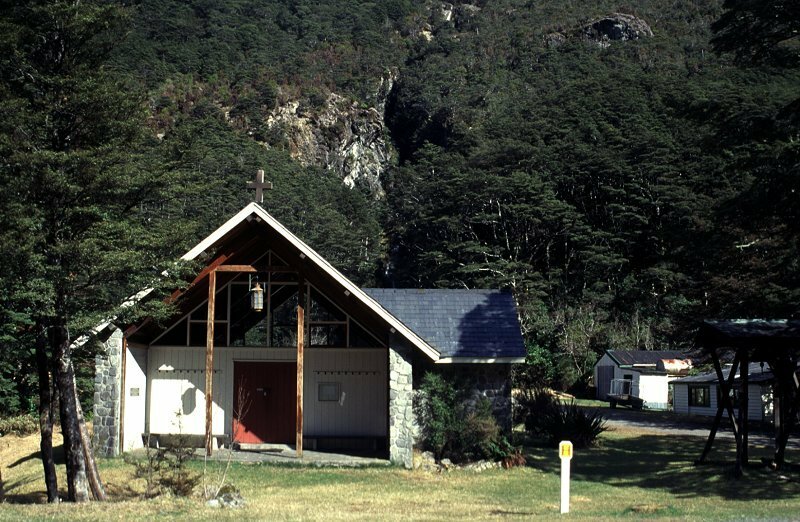 Arthur's Pass Chapel is located about 150 metres from the Visitor Centre towards the West Coast on highway 73. It is always open for casual visitors. The view from the Chapel windows is absolutely wonderful. 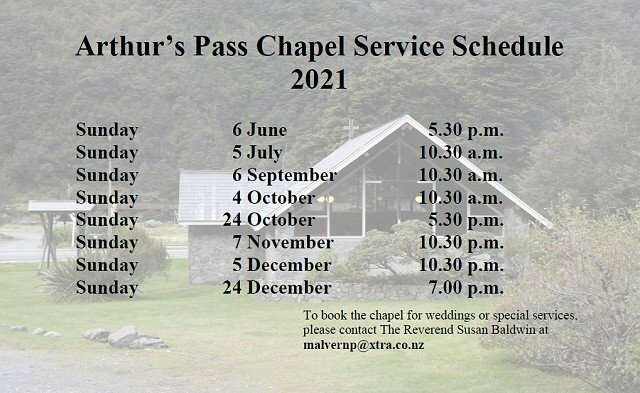 If you see anybody using the Chapel as a night stay, or notice any damage please report this to the Police (03) 318 9212.